This is a guest post by David Siteman Garland, author of newly released book Smarter, Faster, Cheaper: Non-Boring, Fluff-free Strategies for Marketing and Promoting Your Business. Digital schomoozers. You know the type. They have REALLY engaged social networks. It seems no matter what they post, their readers and followers respond and engage with them as a result. And in many cases, it could literally be anything ranging from a new product to asking how everyone is doing to some TMI information about how their cat ate the wrong kind of food and threw up everywhere. To the outside eye, this looks a little ridiculous. Why are these schmoozers so popular? What are the top 1% of these digital schmoozers doing that the other 99% of online citizens seems to be missing out on? How are they able to build quality relationships and a large following for their brand with seemingly little effort? More importantly, how can YOU (if you choose) leverage those same principles to become an influential leader in your niche? 200+ interviews with the world’s most creative entrepreneurs on my web show The Rise To The Top (including Techipedia’s very own Tamar Weinberg!) and developing the “human” case studies and stories for my just released book Smarter, Faster, Cheaper. My own journey of building The Rise To The Top and focusing on social networks to build relationships which has led to over 100,000 viewers a month, tons of media exposure and…what I’m most excited about, valuable two-way relationships with some of the most interesting, passionate and amazing people I’ve ever met. Thousands of random conversations in person and online with all kinds of people. Young and old. Male and female. Ranging from the tech-savvy to not knowing the difference between a megabyte and spider bite (and that is perfectly OK). The folks with the most traction don’t attend every party, they attend the right ones and go all out. For some it is Twitter and Facebook. For others like master schmoozer Lewis Howes, it might be LinkedIn. Sure it is great to be everywhere, but why not put full effort into a few sites you enjoy and see what happens? As I share in greater detail in Smarter, Faster, Cheaper, attending the right parties is a combination of your personality and of course where the people you want to hang out with are located online. For me personally, my two favorite parties are Twitter and Facebook. No, this isn’t earth shattering. But, it is extremely important. Faces have the advantage over logos. Why? Because it is hard to schmooze and form a real relationship with a logo if we don’t know who is behind it. Is it the intern? A marketing firm? Who is it? The best schmoozers are humans, not faceless companies. Are you showing you? Dan Schawbel from Personal Branding Blog is great at this. He shares all kinds of great content related to personal branding and careers. Some of it is his content from his websites. Some of it is from other people. When you share entertaining, educational and/or inspiring content, you begin to become THE go to resource for something. For Dan it is personal branding. What is your something? Chris Brogan actually has a ratio for this: 12:1. He promotes others twelve times for every one thing he promotes himself. A little extreme? Perhaps. And while an exact science might not be necessary here, the idea is critical. When you promote others more than yourself, you will not come off as a product-pushing jerk. And that is a good thing. What does promoting others actually mean? It means helping other people out. Sharing with your network something they created (a valuable blog post for example), a product, cause, whatever it might be. Being helpful on your own website and on social media sites is like being — brace yourself for the terrible analogy — Mother Theresa in public (I know, I know…terrible). You are helping others…and everyone can see. And this isn’t about contrived manipulation (yuck), it is about genuinely helping others for the sake of just doing it (without expecting anything). It might be retweeting someone’s question about the best place to host a web video or answering the question if you know yourself. Helpfulness builds relationships. No way around it. A great quote from one of my good friends and super creative entrepreneur “The Nametag Guy” Scott Ginsberg: “Consistency is better than rare moments of greatness.” Does this mean you need to be glued to your computer/phone and be “in real time” all the time? Absolutely not (and your family probably won’t love it). What it does mean, is the people with the most engagement are there. They don’t disappear for days or weeks at a time without a heads up. They are there. Talking with people. Sharing valuable information. Schmoozing. Hanging out. Slow and steady wins the race. There is a misconception on social networking sites that you are either a conversationalist or a marketer. Sort of like there are two massive compartments and you either fall into one or the other. However, the best schmoozers DO promote at some point. It might be an event. Or a book. Or a product/service. But, the key is it isn’t a hard sell wrapped in a tight marketing message. Instead, it is conversational and fun. Chris Guillebeau is the master of this with his Unconventional Guides. Sure, he promotes his digital products, but he doesn’t promise you a get rich scheme or make you feel any less valuable if you don’t buy. Try it. Check out Danny Brown. You might find him asking how the weather is, helping people with business problems, joking around, talking about the local pub…who knows. Danny is a master digital schmoozer. And the secret? Actually caring. Taking off the marketer, business owner and sales hat and instead getting to know people on a one-on-one level. Small talk is the #1 most underrated thing you can do on social media sites. In Malcolm Gladwell’s insanely popular international bestselling book, The Tipping Point, one of the most valued type of influencers is the “connector.” You know the type. They seem to know everyone and connect the dots for people through introductions. In the social media schmoozing world, being a connector is massively valuable. For example, uber-entrepreneur and blogger, Neil Patel is the master of the intro. It might be in public on Twitter (“Hey (insert name) and (insert name). Do you two know each other? If not, you should!”) or it might be a private email introduction doing the same. The value of being a connector and catalyst of helping others form relationships is invaluable. Can you take online relationships into the offline world and vice-versa? How can you get to know your followers and friends better? One thing that worked personally was hosting RISE lunches in my hometown of St. Louis, Missouri. Local creative entrepreneurs all came together for some great food, laughs and even some short presentations. The cool thing is most of the folks who came out were friends and followers I hadn’t met in real life yet. Combining online and offline is like relationship magic – just without the magic bunny trick. I know we all want to pretend we are really important and everyone should want to connect with us unless they are some kind of dumb-dumb. In reality though, the best schmoozers stick themselves out there to meet new people. It might be a NON-generic LinkedIn invitation or a Facebook invite with a quick little introduction. Personal touches go further than you think. Think of it is a pulse on your industry or topic of choice. The top schmoozers are all also news breakers. Sarah Evans (known as PRSarahEvans) is the master of this. As soon as something breaks in her industry, boom! She is all over it and announcing it to her networks. Are you keeping tabs on the blogs and news source in your industry? And more importantly, are you a DJ finding the most valuable and timely information and sharing with your network? Give it a shot. Do you have breaking news all in one place online? 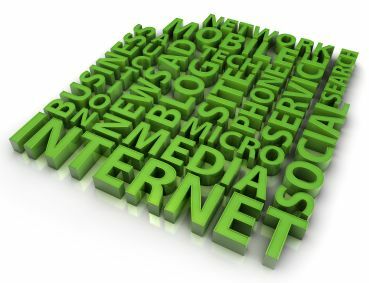 It might be as simple as setting up Google Reader and subscribing to the major news blogs in your industry. A great (and free!) way to keep your pulse on your industry. This is the most interesting. When you study the networks of the some of the top digital schmoozers, you will find that not only are they connected to nearly everyone in their industry (influencers, bloggers, up-and-comers, fans, etc.) but they also have people outside their specific industry which to the outside eye might seem completely unrelated. For example, @rizzotees Chris Reimer has an expansive network on Twitter. Not all of the folks though are t-shirt lovers. Yet, this aspect of Chris’ network is equally valuable. He helps them if they need help. And they help Chris. Sometimes it is the random connections that end up being the most valuable to both parties. What about you? What characteristics would you add to the list? What has helped you connect with others online and build a following for your brand? David Siteman Garland is the Founder of The Rise To The Top, The #1 Non-Boring Resource For Building Your Business Smarter, Faster, Cheaper. He hosts RISE, a web show for entrepreneurs featuring unique interviews & advice, and The Rise To The Top TV show on ABC. He is the author of the newly released Smarter, Faster, Cheaper: Non-Boring, Fluff-free Strategies for Marketing and Promoting Your Business (Wiley 2010). Previous articleHow Do You Socialize an Already Social Brand? Thanks Tamar for allowing me to share with the awesome Techipedia community! Thank you David, this was a good read. Congratulation’s on your book! By the way… Happy Hanukah to both of you! Thanks Ronen. Same to you! My pleasure, Heidi! Peter is a great guy and definitely someone to listen to! Structured so simply, a great tip sheet to share with my clients. Awesome, Grace. Glad to be helpful. Once again, great info. I intend to check out the sites mentioned. Curious, has anyone used a student intern to help with marketing of a blog? Thanks Danny. I like that approach. Annice – Here’s my opinion. Consider Betty Crocker. She was a persona, invented as a way of facilitating connections between housewives and a milling company. Customers were writing in, asking for recipes. “Betty Crocker” provides an ongoing focus for that sort of relationship. A professional will understand that any marketing, including Social Media and blogging, should match the personality of what is represented. If the intern can be taught to walk like Betty Crocker, in the blog’s shoes, the intern can do the work. Does that make sense to you? Yes, Betty Crocker, of course. The reason I’m wanting an intern is because our blog is for women over 50 and compared to all the cable ready kids out there we have a lot too learn, and we think the young ones can teach it to us. Just started reading your book, and already I know it’s going to be one of my favourite “social media/business/community” books. Because you write as you are in the flesh – and who can ask for more than that? Thanks, Danny. You totally ROCK. And you are a man who hits all 13 of these on a daily basis! So simple, so logical. So precise! Thx so much for the advice since I’m a newbie and would like to get my ‘first principles’ right. This is a *really* great list. And it’s going on my resource list as a must-read. Thanks for taking the time. With my vintage brain and trying to learn new technology your blog was a pleasant surprise-easy to read, easy to understand and easy to follow. Thank you for sharing. David, I think you’re practicing all 13 of these just with this one blog post! Seriously, man, the way you walk the talk is very impressive, and kudos for getting a brilliant guest post together during the insanely busy book-launch time. Thanks for the pointers on this very important topic. Thanks SO much Steve. It is definitely an important topic! Thank you again David! and thanks Tamar for this great blog post. David, is there an audio book version of your book? Thanks Tamar. Great Learnings on “How to build Credibility on Social Networks?” Will share it in my workshops. Ok. Congratulations David for the nice work. Looking forward to reading your book. Love it. Every single tip was valuable. Thank you Tamar for publishing this guest post, and thank you David for the great knowledge-share. “Masters of Small talk” is a good point. It is much too easy for people using social media for business to aim to be ultra professional. We all connect with people and not brands, and showing your personality makes you a real person. Great post.. Thanks for sharing… I love it..
Editor’s note: Thanks for your comments. However, as stated in my blog policy, I have asked you to use your real name. I do not think your name is “Friedland Law Center” and have edited your comment and URL as explained in the blog policy. Relationship building is one of the biggest things you can do as a business owner, you will then always have everyone you need around you. Good article. Being conversational and talking with people is what puts the social in social networking & media. Insightful points here. I’ve often thought it’s odd that many people using social media don’t understand the social part of it, meaning that we need to focus on building relationships and giving more than we get. I think that’s the key to excelling in social media. Question, what if I only represent a company as I am an employee, will it still be recommended to use my personal photo? I often interact with others but not only on the business side. Thanks for the great article. I do agree with the point of Simon Dodd that relationship building is one of the biggest things that we can do as a business owner. If you are successful in the art of relationship building, you will surely find the people with you whom you want to see around you. But unfortunately we never try to connect with the people but with the brands. It is indeed a great article with so many things that could be practiced in the society especially the Show their Faces and Masters of Small Talk points. I am greatly impressed by the deep perception of the writer. Thanks for sharing.